When I was seven years old, my best friend (at the time) and I had, for some reason, fallen out. We were in the same class and part of a circle of friends. None of the others took sides with either of us..... except one person. This mutual friend, immediately, stopped talking to me. I didn't know why but, I reciprocated and just like that, we stopped being friends. My best friend and I were family friends so it wasn't long before our parents noticed that we weren't friends anymore. At her home, one Sunday evening, there was some dramatic peace-making session where we had to hug each other and blah, blah, blah. Anyways, that was the end of our 'enmity'. We became friends again. Of course, the next day in school, all our friends noticed. Our mutual friend, who had taken sides with her, immediately tried to get chummy with me again. I didn't let her get close, at all. That was the beginning of a silent war between us. I remember telling anyone who asked why we weren't speaking to each other, that I had nothing to say to her. More than two years later, I was asked by my teacher, during sports, to go get something from the class. My former friend came into my class shortly after I did, for some strange reason. We had been in different classes for two years so, that was the closest we had come to each other in all those years. We were alone too so I, honestly, didn't know what to expect. I don't remember how we started talking but, talk, we did. We went back for sports together. I was very young but, I remember that I had missed my friend all those years we had ignored each other. We were never in the same class again till we graduated but we stayed friends. Recently, I spent some days ignoring, completely, a close friend. They had done something that hurt me a lot and didn't even bother to apologise. Well, even if I had got that apology immediately, I wouldn't have been ready to listen to a word of it. So, I totally ignored them. Anyone who's close to me knows that I communicate a lot, verbally talk a lot. So, it took a lot for me to ignore someone I'm very close to. A whole lot. During that period, I had to, deliberately, steel myself to fight that war. I acted like I didn't see them most of the time. But, that was all an act. I did see them. I was very hurt at what they had done and I was very mad at them too. I expended a whole lot of energy holding on to all that negativity. This wasn't a case of people drifting apart for some vague reason. This was a case of allowing the gap, caused by an altercation, widen through the absence of words. The words weren't lacking. There was a lot to say and there were many ways to say them. But, I chose, as did my friend, to stay silent. I preferred to let them know, by, completely, ignoring them, exactly how little I thought of them, at the time. After a few days, I told myself that I had forgiven them but that I was still determined to fight that battle to a conclusion, even if it resulted in a loss of that friendship. You see, this friend of mine has, over the years, perfected the art of dishing out a stony and punishing silence after any misunderstanding. So, I was determined to beat them at their own game, this time. I gave as good as I got and more till I realized that I was being very silly. I was being petty and obviously, regressing to being seven again. I was letting someone else's actions guide mine. I was fitting myself into a mould that I absolutely detest. I am, by nature, a talker and there I was, trying to be someone else. I was doing the wrong thing just to prove a point and letting everything else suffer, as a result. No matter how many years I wish to live, no matter how old and gray I wish to be, the fact remains that I don't know exactly when I would die. I don't know how many years that have been written for me to spend on this earth. Why then should I waste some of the time that I do have? Why should my pride be more important than my friendships are? How can I say that I have forgiven when I know that my silence says otherwise? If I were to die now, I certainly don't want to leave an uncomfortable silence behind. So, I've resolved to be me from now on. When the silence gets uncomfortable, it's no longer golden. When, I lose out of making good memories because I'm holding on to the bad, I cheat myself. Any time I lose with my friends and family, I can never get back. So, I'm going to do my best to pack in as much smiles, cheer and words as I can. I remind myself again that I, and no other person, am responsible for my actions. No matter what any other person does, I owe it to myself to act right. As with every resolve that I make to be a better person, I'm sure I will be sorely tested with this one. That's, certainly, not something I look forward to. From now, my words will calm and my words will heal. And when I know that they can't, I will keep silent. From now, whenever I am silent, it will be the best thing I could have done in that circumstance. I choose never to lose time, again, to a cold and uncomfortable silence. It would be a very hard and long process but I will succeed, by the grace of Him who strengthens me. Ola this is a serious matter and also happens to me often. infact i am currently having this silent issue with a friend, my husband says talk with her but i think my pride will not let me do it becos i know i am right. but God help me. Thanks for this message darl. Will def do something abt it now. No more silence, i hate silence.................. u can never recover those momentoes lol!!!!!!!!!!!!!!! Ola beautiful write up, I also hv d problem of keeping silent when angry, which doesn't help d issue at hand, but causes more damage. Thank God for d kind of man I married who's really helping me to be more vocal, I have noticed I'm much happier for it and quarrels get resolved faster. That'll help check that 'selective muteness' when it wants to strike. Well done my best friend! It sprouts up memories of the old dayzzzz!!! Maturity is not an age thingy but a thing of the mind (been the bigger person). Time wasted, they say CANNOT be regained! Make best of every second u've got my love, noone's worth robbing u of it. Rem, u're responsible for every ACTION u tk.... I LOVE THIS!!! Very good resolutions. Why waste time in a silent war when you can be making beautiful memories? When the silence begins to hurt, its no longer golden! very recent altercation and have found very deep peace in silence until I read this piece. Now, I have become uncomfortable. Therefore, I resolve to try again and again and again. 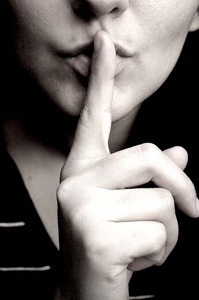 The bottom line remains "when silence gets uncomfortable, it is no longer golden". SO HELP ME GOD! Very nice one Ola....but this is one of †нє hardest things to do. I have a case on my hands which you kniw about. Being †нє bigger person can be so painful especially when you try to talk to †нє person and †нє person still gets an attitude. Emeka Amakaeze; I couldn't have said it better. Chiney; I totally cracked up on 'Economics of relationships'. We're doing this together, you know? No more silence, girl. Anonymous; Yeah, girl, i know how difficult it is but we have to keep trying, right? Am I guilty? YES. Have I resolved to be a better nd lovable person? YES. Can I do it on my own? NO but I can do all things - a more forgiving person through Christ Who strengthens me. Ola you have once again challenged us all nd dt is what true friendship is all about: each one help one. I will never want to look back at 80yrs plus and wished dt I have loved deeper, laughed harder or forgiven more. May d good Lord have mercy nd grant us true spirit of forgiveness. This article is just referring  ma present condition now. Nice write up ,ama try my best 2 swallow my pride and let go. Thanks, Chizzy. You're right... It IS a choice we have to make ourselves, regardless of what the next person is doing. Very insightful Ola. Sorry I don't always comment when I read ur posts. But I loooooove them. I think u're a fantastic writer. Cheers. Betty; Thanks so much, darling. God bless you!